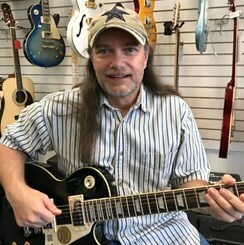 Robert is a Hampton Roads native and has been teaching private guitar lessons for over 15 years! He has played in several local bands, while also doing sound reinforcement for Busch Gardens. For a time he played and opened for Jeremy Camp, Hillsong, and Chris Tomlin. He is also well versed in guitar and amp repair.